‘Just Bob & The Nite Time Party’ debuted in Flint on April Fool’s Day in 2004. By the end of that first month, the Nite Time Party Crew came together featuring Lil’ Rock, Big Daddy Weave and Candy. By the summer of 2004, Naked Gary, Lil’ Jon, Nite Gown, Bubbles and Kneel completed the NTP Crew. By the end of 2004, Just Bob’s Nite Time Party dominated night time radio in Flint for almost five years. The name Just Bob lived on through the years with karaoke and trivia nights. But it was a dozen years later, almost to the day, that Just Bob’s Party Crew returned to the radio! In the Spring of 2016, Jeremy made the switch to 103.9 The Fox, and launched ‘The Punch-Out Party!’ It was the quick wit and sense of humor of Rickelodeon, Big Red, Beef and Stick that brought Patry Crew 2.0 to life. Just Bob’s Party Crew also hosts and helps out at all kinds of live events throughout the week! 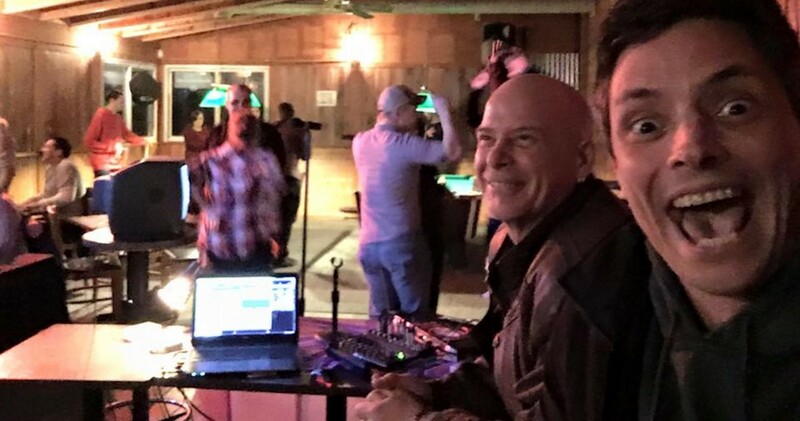 Whether it’s live broadcasts, trivia, karaoke, or a game show, no one knows how to have fun bringing you a good time better than Just Bob and his Party Crew! Go back in time and listen to some Classic Nite Time Party Archives, and make plans hang out with Just Bob and Party Crew 2.0 during the Nite Time Party Live!